You'll be £8.99 closer to your next £10.00 credit when you purchase Criminal Children. What's this? A very satisfying read which feels excellent value. 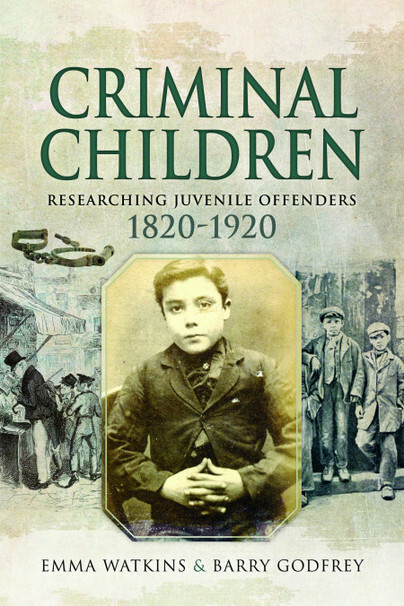 While this book focuses on the criminal lives of children and societies attitudes and responses to child crime, it is a wealth of information and well-presented knowledge on the changing historical times across this 100 year period and how this impacted society. It is book historians and those with an interest in British history and the Victorian period especially will enjoy reading. This is a valuable book to aid the understanding and researching of child criminals. It is an introduction to how, over a period of one hundred years, ideas changed about how children should behave and how they should be corrected when they misbehaved. The authors give good research advice and explain relevant records. This book is based on material from the Digital Panopticon project, which is bringing together into one database the records of London convicts between 1780 and 1925, including those transported to Australia. The book also draws upon records of the Stockport Industrial School. The book is well researched and full of interesting insights. Both historians and family historians will find much of interest and value in this book, not just in the parts devoted to legislation and institutions. Comments on individual instances throughout as well as in the case histories reveal a wealth of knowledge of how the justice system operated and how it evolved in the course of a hundred years. Societal ideas about the way children should behave - and how young offenders should be corrected - changed dramatically during the 19th and early 20th centuries, and this new family history guide provides a valuable introduction to how they were dealt with. Emma Watkins is a PhD candidate and a research assistant working on the Digital Panopticon at the University of Liverpool. She has a special interest in criminal juveniles in nineteenth-century England.